"Since the beginning I was surrounded by small wooden people on strings. This was the reality I was born into: all things are imbued with life, puppets are beings with thoughts and dreams. That sense of the world never departed in adulthood; I have a constant calling to converse with objects and animate materials." Third generation puppeteer Linda Wingerter trained in rod, hand, shadow, object, table top, and Asian-based puppetry for over a decade before stepping up to the challenge of the marionette tradition of her grandparents. Using detailed instructions left by her grandfather, she's learning traditional building and manipulation with her own marionettes, and beginning the restoration of the 30 remaining puppets of her family's antique traveling troupe. In 2015 Linda studied with Alice Gottschalk, Jim Rose and Phillip Huber in marionette construction, movement and performance at the Eugene O'Neill National Puppetry Conference in Waterford, Connecticut. With their encouragement, Linda will be digitally archiving David & Helen's puppets and reference materials here throughout 2015. Thanks to the help, support, and enthusiasm of Jim, Phillip and Alice, plus Fred Thompson, Mike Graham, Richard Termine, Ronnie Burkett, Kurt Hunter, and the marvelous National Puppetry Conference family. (1910-1988) David was the son of Russian church mural artist, Francis Bogdan. A self-described failed fine artist, David became an electrical engineer for Westinghouse. As his artistic outlet, he began building puppets in the 1950s, costumed by his wife Helen, and staging community shows in West Orange, New Jersey. As their two daughters Bonnie and Judy grew, so did the puppet company, and by the 1960s David was touring with his portable marionette stage. 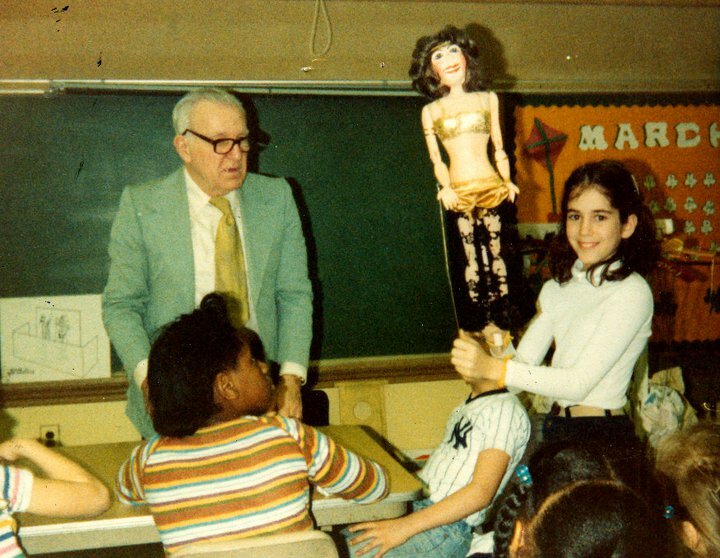 A proud long time member of the Puppeteers of America, he was dedicated to spreading the art of puppetry, and taught hundreds of children and adults. He passed away in 1988 leaving his puppets, library, and extensive instructions to his granddaughter, Linda Wingerter. 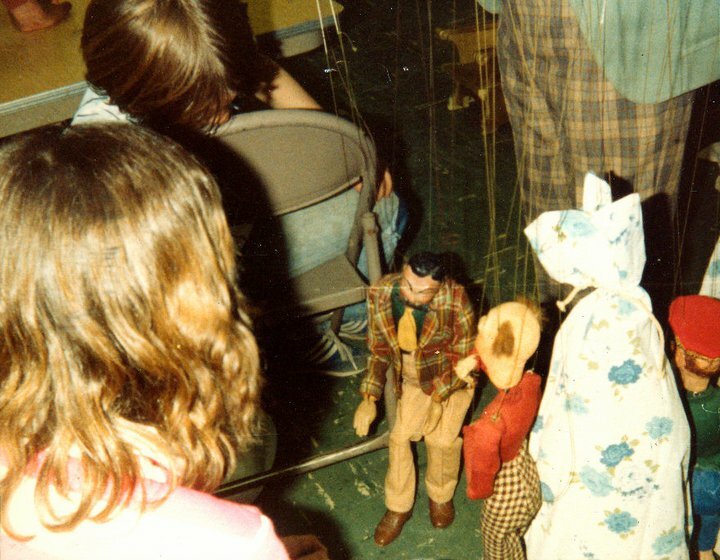 David Bogdan's puppet class, 1975. Linda Wingerter's puppet class 2005.